Good credit scores give access to more than just today's lowest mortgage rates -- they give access to today's best loan programs, too. You need a decent credit score to get approved for the low-downpayment FHA mortgage, and for the No Money Down USDA Rural Development loan, as examples. Plus, for borrowers using conventional loans to buy a home, only an "excellent" credit score grants access to the lowest available rates nationwide. With the Mortgage Bankers Association (MBA) projecting $677 billion in purchase mortgages for 2014, and with more than 5 million homes expected to be sold this year, today's home buyers can "help themselves" by priming their personal credit scores as much as possible. Buying a home in 2014? Understand how credit scores work, and take steps to improve your personal score. Credit reports are an official record of your financial history, detailing everything from auto loans you've taken, to credit card balances you've carried, to liens and bankruptcies linked to your name. Generally, information added to your credit report remains for seven years. In some cases, information is permanent. The details of your credit report determine your credit rating. Credit ratings can be based on an Alphabetic System (AAA through F), but are mostly commonly scored numerically. 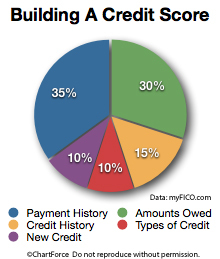 Mortgage lenders use credit scoring systems which range from 300 at the low-end to 850 at the top-end. Today's home buyers and refinancing households can get mortgage-approved with credit scores above 620 (some lenders, in certain circumstances, can drop down into the 500’s), but having a better credit score often means having access to a lower mortgage rate; to additional loan programs; and, to the right to buy a home with little or nothing down. Insurers often use your credit score to determine your premium schedules. Higher scores bring lower premiums. Employers often use your credit score to determine whether to hire you, promote you or reassign you. Higher scores are linked to better outcomes. Landlords often use your credit score to determine whether to rent you a home or apartment. Higher scores can improve the terms of your lease. Therefore, having a high credit score can be paramount to getting the best rates, to paying the fewest fees, and to realizing the biggest monthly savings that are available to you. Even better is that anyone can raise their credit score to the level of "Excellent". Once you understand the basics of credit scoring, and how it the system works, you can alter your credit profile to improve your overall score. There are lots of credit reporting companies. However, in the mortgage world, there are three companies which matter most -- Equifax, Experian and TransUnion. Collectively, these three firms are known as the "major credit bureaus". Each of the bureaus sells more than one "credit score" product and, for consumers on their respective websites, it can be a challenge to know exactly which "score" to review. These are the relevant scoring systems because, when a mortgage lender "pulls your credit", it's pulling your scores for these particular products. Your lender then takes the median of the three scores (i.e. the one in the middle), and calls it your credit score. For example, if your credit scores are 620,640 and 700, your "score" is 640. As another example, if your credit scores are 700, 719 and 720, your credit score is 719. Credit scores are not rounded up or averaged. Generically, credit scores are called "FICO scores", named after the Fair Isaac Co., a pioneer in the credit scoring space. The higher your FICO, the better your mortgage terms, all else equal. When a credit bureau prints your credit score, in addition to providing your raw scores, it will typically offer up to four ways by which you can raise your credit score. The notes can be helpful, ranging from the general ("Balances too high") to the specific ("Too many inquiries"). The notes can serve as a roadmap toward improving your FICO score. It's not uncommon for a person to improve their FICO score by 100 points or more with attention to credit-scoring details. But for all of the available advice, there remains only a few fool-proof ways to make drastic improvements to your credit score. Of particular note is your "Amount Owed", highlighted in the second point above. Ideally, a credit card balance should not exceed 30 percent of that card's available balance. This credit score metric comprises thirty percent of your overall score so, if you have trouble meeting this requirement, ask your credit card company to raise your credit limit. For a higher credit score, raising your limit can be as effective as reducing your balances. Lastly, if you've had a derogatory event on your credit report, avoid credit repair companies until you've done your due diligence. 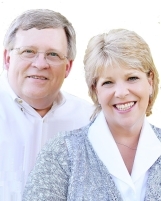 Often, time is the best healer of a "bad credit report". Dan Green is a mortgage market expert, providing over 10 years of direct-to-consumer advice. NMLS #1019791.